Love maps? 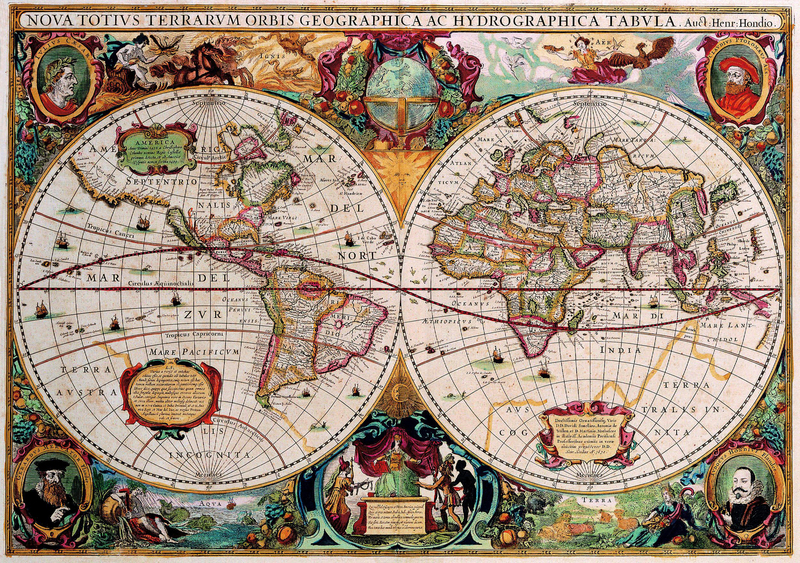 Well here is a treasure trove of maps and atlases that you can use in class. Some of them are even interactive to make them even more fun to use! Enjoy! AnimatedAtlas--This animated map details the growth of the American nation from 1783 until today. The animated map is also narrated and includes a timeline of important dates. History Animated--This collection of animated military maps includes maps from: the Civil War, the Revolutionary War, World War II: Europe, and World War II: the Pacific. Each map is animated to truly bring the battles alive. Holocaust History Animated Maps--This website provides information videos and animated maps describing the conditions in Europe during the Holocaust. The site is run by the United States Holocaust Memorial Museum in Washington D.C. The Art of Battle--Extremely informative website that includes battle maps of present day conflicts and ancient ones. Also includes a section on tactics, as well as a section of other resources. The Map as History--Incredibly helpful source to give the students an insight into the place, time, or culture that they will be studying. Includes collections of maps detailing the following areas: Ancient Greece, Roman Empire, History of Christianity, Age of Discovery, the United States, Europe 1815-1914, Europe 1918-1942, Europe 1945-Present, European colonial expansion, European de-colonization, WWI, WWII, and the Middle East since the early 20th century. Each animated map provides a wealth of knowledge on the subject. Many maps are offered for free, however there is a fee to access the entire collection. Upper Dublin High School Animated History Resources--This collection contains not only many animated maps from various eras and geographic locations, but is also a collection of activities and resources to learn about the various subjects being taught at the high school. Smithsonian Maps: See America's Great Cities Before and After--Compare America's greatest cities with how they would have looked a hundred years ago. This Smithsonian website allows the students to discover the history of America's greatest cities in an interactive manner. David Rumsey Historical Maps--This historical map collection has over 43,000 maps and images online. The collection focuses on rare 18th and 19th century North American and South American maps and other cartographic materials. Historic maps of the World, Europe, Asia, and Africa are also represented. Old Maps Online--The OldMapsOnline Portal is an easy-to-use gateway to historical maps in libraries around the world. It allows the user to search for online digital historical maps across numerous collections via a geographical search. Search by typing a place-name or by clicking in the map window, and narrow by date. The search results provide a direct link to the map image on the website of the host institution. Historic Map Works--Based in Portland Maine, Historic Map Works is a website formed to create a historic digital map database of North America and the world. Drawing on the largest physical collection of American property atlases of its type, this website is great for local history projects. This site also includes antiquarian world maps. Patchwork Nation--Patchwork Nation makes open data easy. It delivers national data with local context while remaining visually intuitive for the reader. The interactive map helps break down national data to analyze how it impacts communities. We put data in the hands of the user, allowing him or her to compare different data sets and explore national data county-by-county. Atlas of the Historical Geography of the United States-- This online atlas is a great way to teach geography and demographics. Based on the the atlas created by Charles O. Paullin, the Atlas of the Historical Geography of the United States remains one of the most impressive and most useful atlases of American history. Beginning with a chapter consisting of 33 maps on the natural environment and a second containing 47 maps documenting the evolution of European and later American cartographic knowledge about North America, this atlas maps an exhaustive number of historical topics: exploration and settlement of the continent, the location of colleges and churches, disputes over international and state boundaries, voting in presidential elections and in Congress, reforms from women’s suffrage to workmen’s compensation, transportation, industries, agriculture, commerce, the distribution of wealth, and military history. Show USA--Select a subject from the top menu and watch the states on the map change their size. Instead of land mass, the size of each state will represent the data for that subject--both its share of the total and absolute value. Compare anything from GDP of U.S. states to number of Wal-Marts. Great for teaching Geography. 100 Maps and Charts that Jump-Start Discussions--A great collection of various maps and charts that will help students visualize the topic being covered. All credit for this site goes to Glenn Wiebe, my social studies idol! National Geographic Mapmaker Interactive--Create interactive maps using data taken directly from the National Geographic database. Simply select the category (ie. environmental, demographics, culture) and the map is created for you! You can also layer multiple maps simultaneously.